I've never used texture paste even tough it's been around for a number of years. Close To My Heart has just begun to carry Ranger Texture Paste in our new Holiday Expressions catalog. We also are carrying the Palette knives and blank Stencil sheets. The paste is not hard to use but I will say I don't jump into new things right off the bat. It's out of my comfort zone. So, here I go. Where? On to YouTube, of course! My video below is my first attempt to use the paste. I did not play with it before I did the video. We can make our own stencils using the blank sheets and our Cricut cartridges. I used the Artistry cartridge. The first 2 stencils I made were with my Cricut Expression at the second to highest pressure. Wrong! 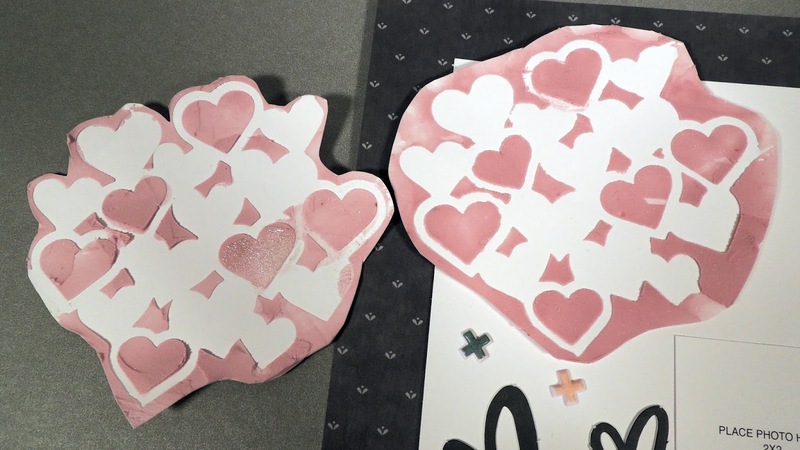 Use the MAXIMUM Pressure to cut the stencils. I spent a lot of time trying to pick out the extraneous pieces and ended up with somewhat rough edges. The Max cut, easy and smooth. I purchased the Boutique Workshop You Way and the Deluxe Bundle. The cuts and layouts I used were from the original workshop kit not the Deluxe workshop kit. 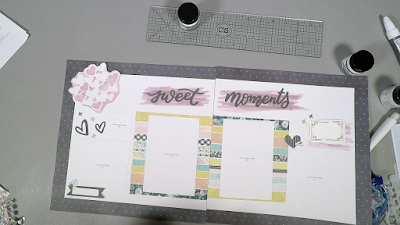 That way I can show my ladies, who are inclined to do the easier layouts, what they look like but then the ladies that like to do the more complicated, detailed layouts get to see how easily you can add fun elements to a simple layout. The heart group on the left is my very first try at texture paste. The one on the right is my 2nd attempt and I think is much better. I've decided to level the paste as much as possible and pick up the stencil gently and quickly once you are have with the coverage and evenness of the paste. Clean up your stencil and knife quickly either with a baby wipe or water. When it dries and hardens it is more difficult to remove. Here is my YouTube video. Please consider subscribing to my page! Please feel free to leave a comment about texture paste. I've just started and can see there are many interesting things that can be accomplished with it.